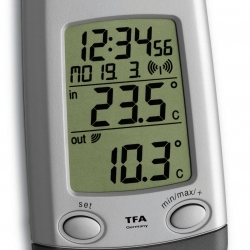 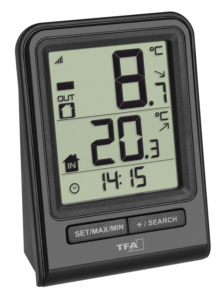 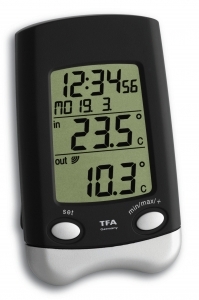 Always in the know with the temperature – with the "LOGO" wireless thermometer from TFA. 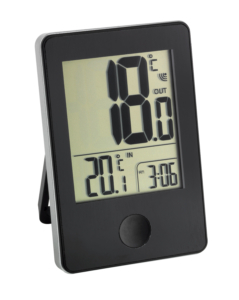 In addition, the device has a memory for highest and lowest values and a display for the time. 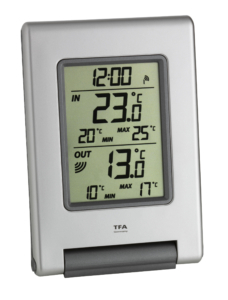 Two more transmitters for temperature can be connected, thus allowing the monitoring of other rooms, e.g. 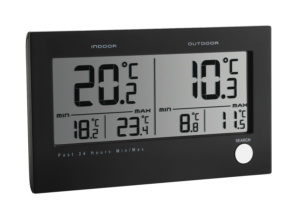 in the nursery, bedroom, cellar or garage.